*Cooked to order, consuming raw or uncooked meats could increase your risk of food borne illness. Our signature double stacked burgers* are cooked medium-well and served with lattice chips. Substitute French fries, a mixed green salad or Caesar salad. Substitute a turkey or veggie burger for any selection. All burgers are available on a Gluten Free bun. Served with with lattice chips. Substitute French fries, a mixed green salad or Caesar salad for an additional cost. Kids 12 and under. Served with lattice chips. *Consuming raw or undercooked meats, seafood or eggs could increase your risk of food borne illness. 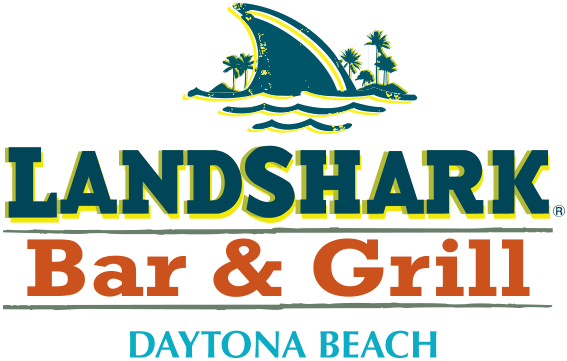 Ask for any of our specialty drinks or draft beer in a take-home LandShark® Blender Cup for an additional charge.